I am beaming with pride this morning at the mastery with which I turned a couple of zip lock bags and a half broken piping bag into a duo-colour dream. Ye of little faith as ever, my mother forecast cupcake rage when I failed, but to everyone’s surprise, including my own, this make-your-own method turnout out brilliantly well. 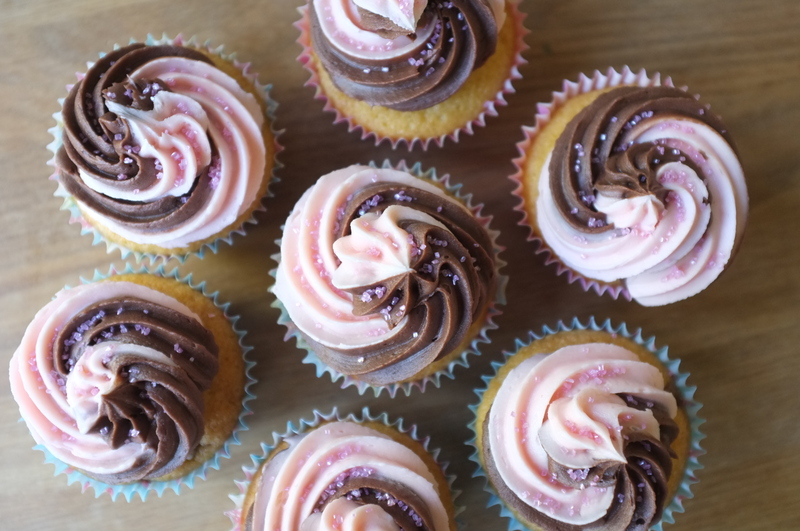 If you need to whip up a simply cupcake that looks like something out of a bakery, this is the recipe for you! *alternatively, you could eat them warm from the oven, drizzled with a little cream or my homemade berry-honey compote, or served with ice cream. 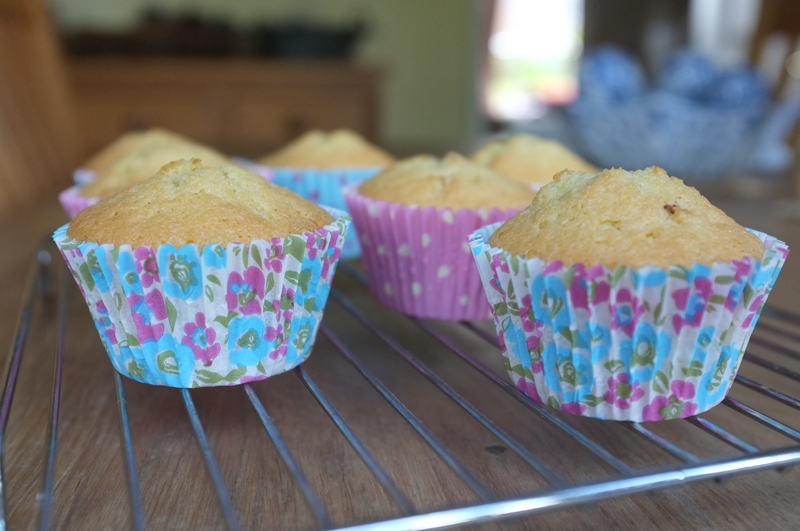 – add a splash of milk to loosen if the buttercream is a little too thick. The consistency should be smooth and ‘pipe-able’, but able to hold its shape. I didn’t have enough piping bags, so I used a couple of strong ziplock bags. Spoon the buttercream into one corner and snip off the end!